In steam driven LNGCs, all boil off gas (BOG) from the cargo tanks is burned in the boilers to raise steam for the steam turbine. The power requirements for the LNGC at cruise speed are higher than the power that can be raised with only natural BOG. To raise additional steam either forced BOG or HFO could be used. In a steam boiler there is no problem using different fuels simultaneously in any mixing ratio, which makes the steam turbine system very flexible in the choice of fuels. Basically the cheapest fuel available can be used at any point in time. The down side is that a lot of this cheap fuel is needed, as the thermal efficiency of the main propulsion steam turbine is low. Recently, both Mitsubishi and Kawasaki have introduced more efficient steam turbine designs, promising a 12 – 15% increase in thermal efficiency, which would put the total thermal efficiency of the steam system at about 32%. Things are a bit different with a dual fuel (DF) diesel engine, as it is a derivative of a pure diesel engine. The DF engine operates either in gas mode or in liquid fuel mode; it is not capable of operating on a mixture of both gas and liquid fuel simultaneously. In gas mode, for which the DF engine is optimized, it uses gas fuel and combustion is initiated by a small amount of MDO pilot fuel being injected in the cylinder. In gas mode the thermal efficiency of the engine is about 47% as mentioned above. As the DF engine is optimized for gas operation, the compression ratio has been lowered a bit to avoid irregular combustion. The lower compression ratio has a negative effect on the thermal efficiency in liquid fuel mode. In liquid fuel mode, the DF engine operates on MDO or on HFO, but the thermal efficiency is reduced to about 43%. This in turn leads to a 39% thermal efficiency for the entire electric propulsion system from prime mover to propeller, which is still much better than the performance of the steam turbine drive system. The fuel flexibility of the dual fuel diesel, combined with its high thermal efficiency, seems to offer the best possibility for reducing the transportation cost of LNG. The fuel flexibility allows the operator to select the cheapest fuel available, within the constraints of the charter agreement and proper BOG management. Fuel flexibility is definitely an advantage, as fuel cost have been fluctuating wildly in the last few years, much more so then in the previous decade, as shown in the graph below. Through the 1990’s the Henry Hub price and the Houston HFO price were relatively close and if one went out of substitution effects brought the two together again. From the turn of the century, the Henry Hub gas prices are occasionally peaking very highly, often coinciding with a winter period. From early 2002 HFO-380 started rising, most probably because of the higher domestic demand in China and India. In a very interesting booklet called “Marine engines, catalytic fines and a new standard to ensure safe operation”, major slow speed diesel engine manufacturer MAN B&W Diesel, together with fuel separator specialist Alfa Laval and BP Marine, concludes that anywhere within the next 30 years HFO will loose its status as the cheapest marine fuel. This is due to the improvements in the cracking processes in the refineries, which convert more and more crude oil into distillates. These improvements leave less refinery residue available for blending into residual fuels, such as IFO-380. There seems to be a rather remarkably linear trend that the amount of residual fuel oil produced from a barrel of crude decrease by about 4.6% per decade. In 1990, approximately 20% of a barrel of crude was processes into residual fuel oil against 14% in 2004. This process might continue as the demand for distillates around the world is increasing, especially so in emerging giants like China and India. There will be an increasing number of competitors for the decreasing amount of residual fuel, most notably container vessels and bulk carriers that have no alternative fuel available, apart from even more expensive distillate fuels. LNGCs have the option to use BOG from the cargo and even vaporize some additional LNG to cover the entire power requirement. With more and more countries discovering that they can generate income from their gas fields by exporting the gas as LNG, it seems that the LNG market will not be short of supply in the mid term future. Vessel owners are increasingly considering LNG as a replacement fuel to marine diesel and heavy fuel oil, also called bunker fuel. Emissions regulations that take effect in 2015-16 will make diesel and fuel oil operation more costly. The abundance of shale gas production in North American has made LNG cheaper and cleaner. 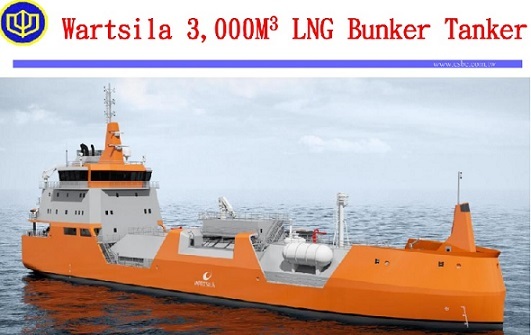 Several fleets are working on LNG-fuelled vessel designs. To judge the proposed designs, the USCG intends to use International Maritime Organisation (IMO) guidelines, which are drawing from lessons learned in Norway. Carbon emissions have long been a concern there, spurring many several to adopt LNG as fuel. Fuel tank placement is a special concern. LNG is not as dense as petroleum, requiring between double and triple the space for the fuel tank. To alleviate the loss of space, some Norwegian designers locate the tanks under accommodation spaces, building protective coffers to hold the tanks. Others have placed tanks on deck where they can vent into the atmosphere should a spill occur. IMO guidelines do not prohibit placement of LNG tanks under accommodation. However, the USCG feels the decision requires careful analysis. Countries like Russia and Iran have vast gas fields, but the process to bring it to the market is going slowly. Other producers like Qatar and Nigeria fast track their LNG projects to take advantage of this situation. Using gas fuel on LNGCs also has the added advantage that it is more environmentally friendly in terms of emissions than HFO or even MDO. As it is difficult to predict exactly where the markets are going, multi-fuel capability is definitely an advantage for any LNGC. In MARPOL, a new chapter 4 on energy efficiency has been added to annex VI regulations on air pollution. It requires an Energy Efficiency Design Index (EEDI) to be stated for new vessels and a ship energy efficiency management plan to be maintained on all vessels. The EEDI is an indicator of the fuel efficiency of a ship, measured in grammes of CO2 emissions per deadweight tonne per nautical mile: the lower the figure, the better the fuel efficiency. The ship energy efficiency management plan aims to improve the efficiency of a vessel by introducing various management methods such as improved voyage planning to increase fuel efficiency.